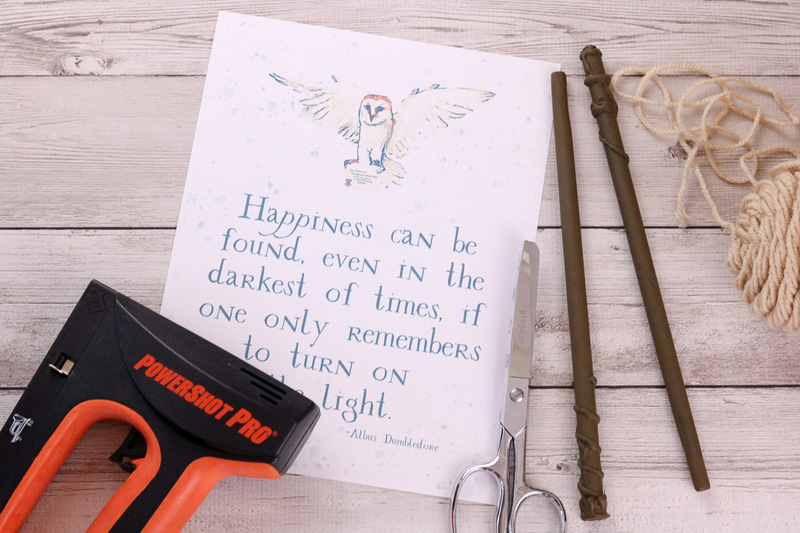 Harry Potter free printables are the rage this Halloween. 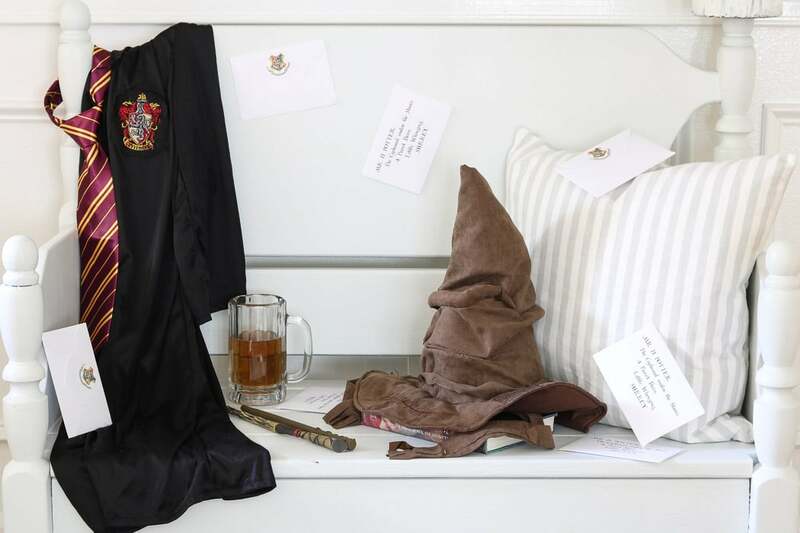 So we wanted to create something Potter inspired that would fit your Halloween decor. 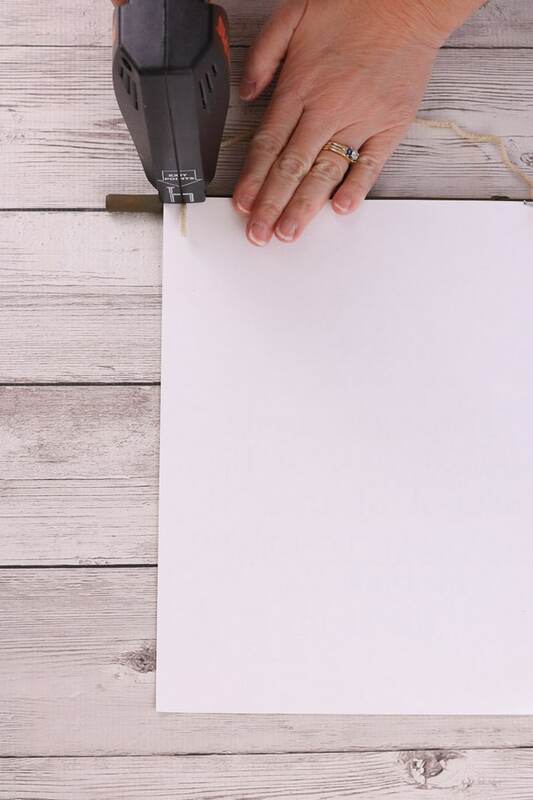 You won’t be disappointed with this free printable and a unique wall hanging tutorial too. 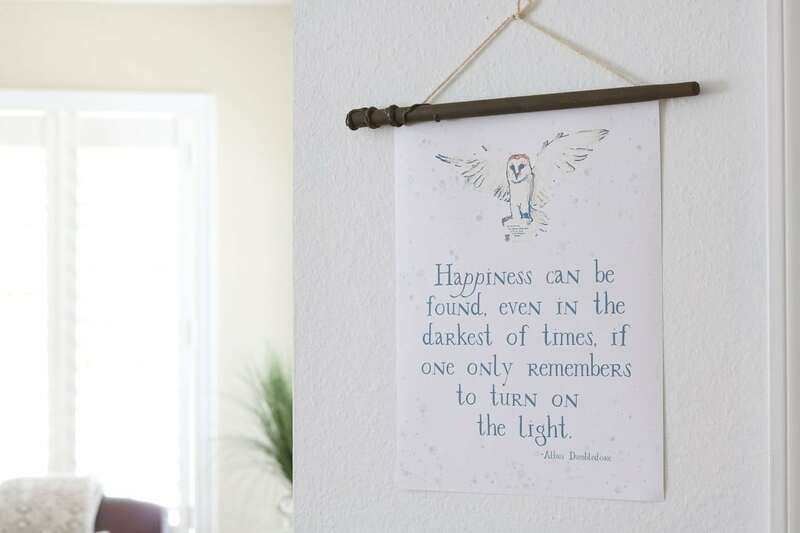 There are so many Harry Potter free printables on the internet, but this printable will inspire you with its Albus Dumbledore quote. 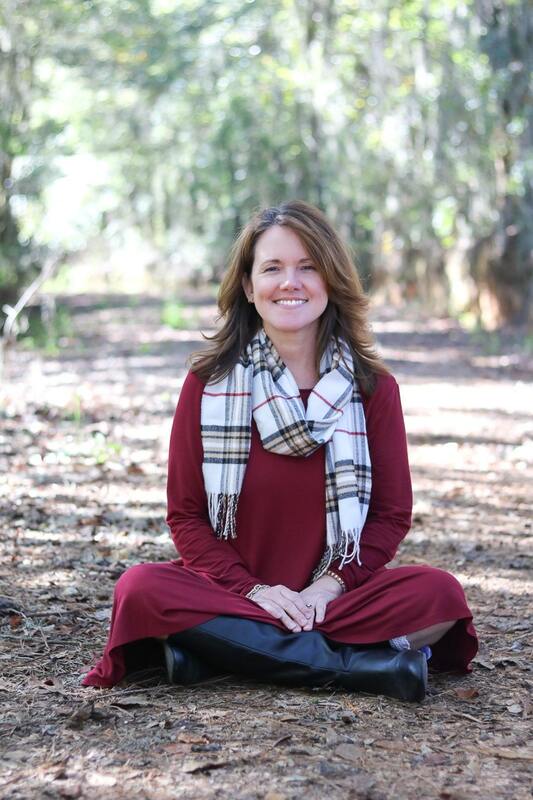 I love when fall weather approaches! There is something about the change in season that reminds me of the Harry Potter movies. 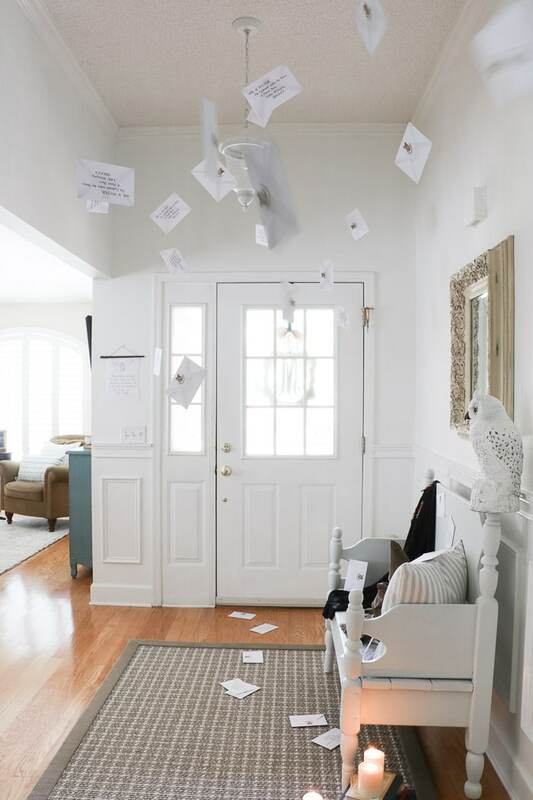 This year when Halloween started approaching I decided, since I was binge watching Harry Potter, that it would be fun to transform my foyer into 4 Privet Drive and all the flying envelopes. Tap flying envelopes to see the whole room makeover. 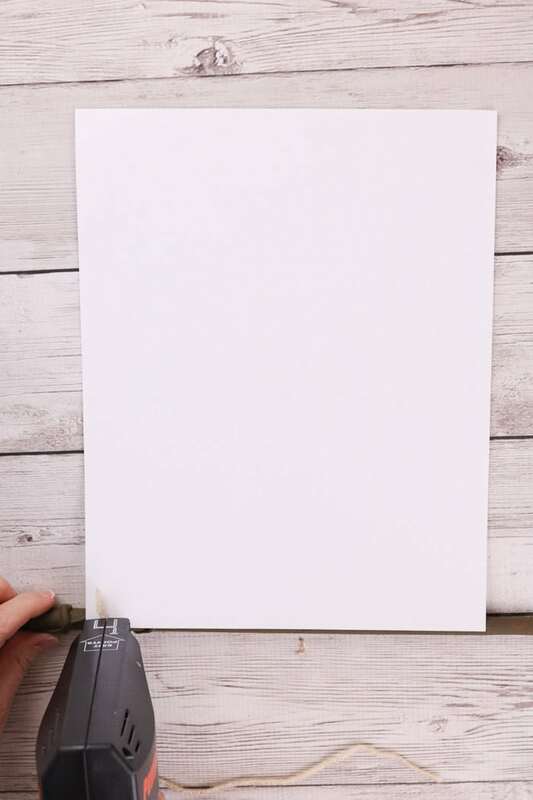 To begin this wall hanging project lets download the free printable. Merely click Harry Potter Free Download where you will sign up for emails to get access to the free printable library. 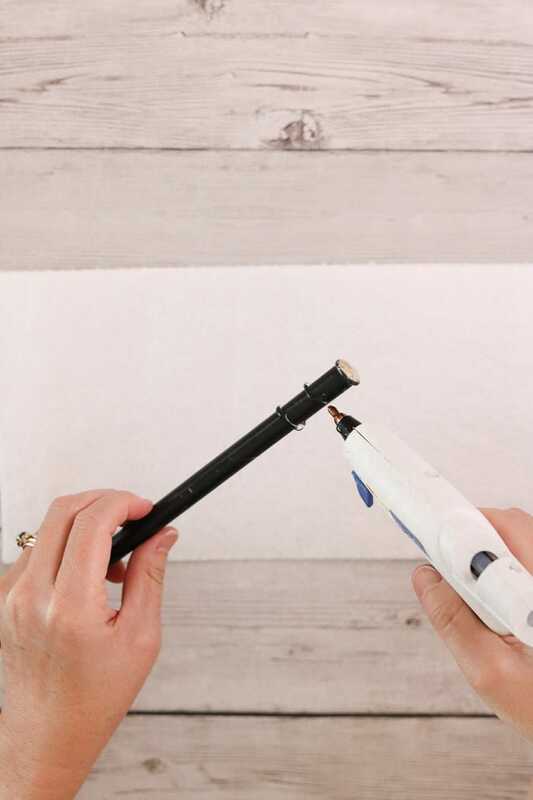 Once you have printed your printable on a good quality paper like cardstock or linen paper, then you are ready to make your wand wall hanging. Okay, now for the fun part and that is creating a wand to hang your Harry Potter free download. Begin by collecting these tools to make your wand. 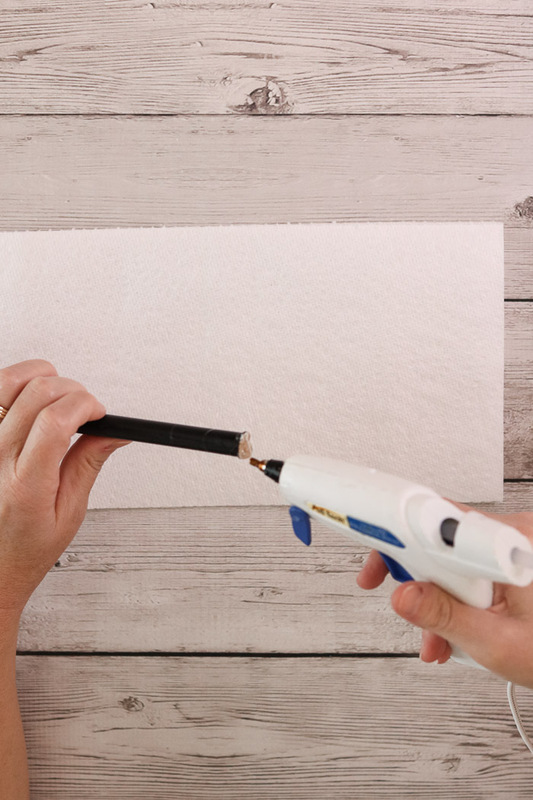 First, use a glue gun to make a design around one end of the wood. I added some to the end of the wand to soften the end. 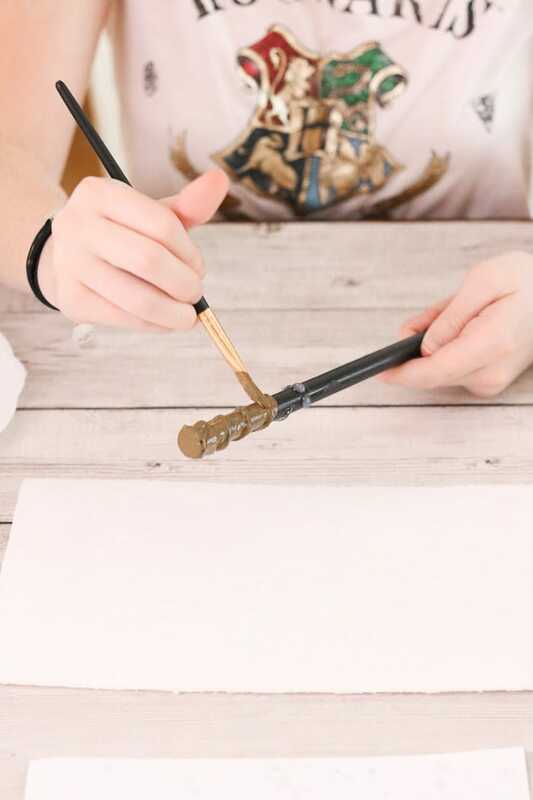 Now it is time to paint your wand. 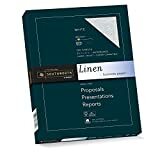 I chose a brown color but black works nicely too. And here is a tip. 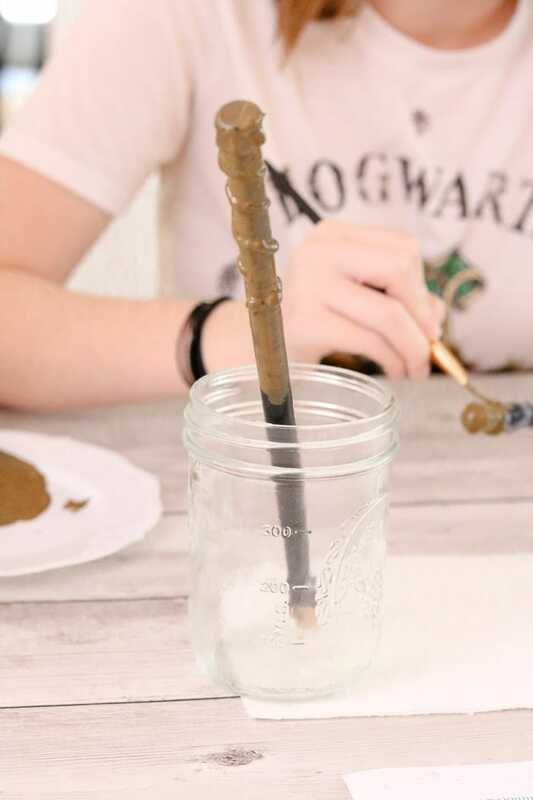 When you are gluing your design or painting sit the wand in a jar to let it dry. Now for the second part of the Harry Potter wall hanging. 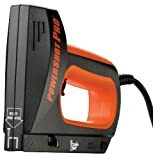 You will need some additional tools. You will need scissors and yarn. 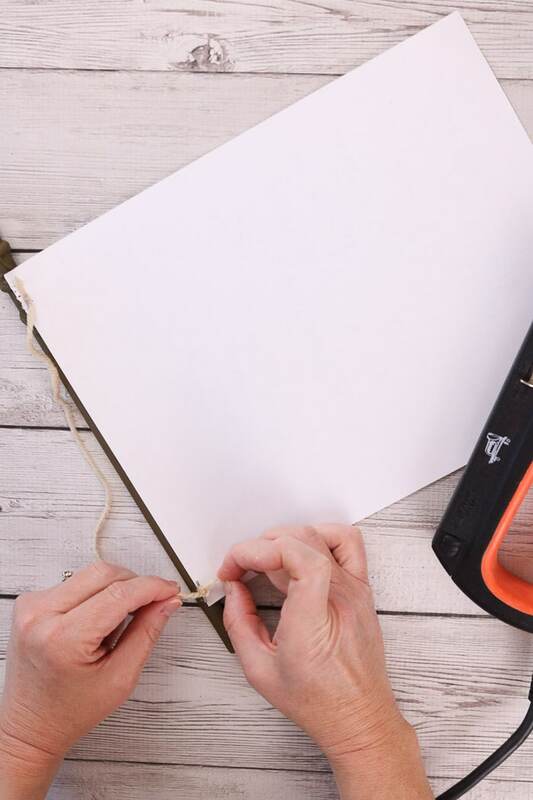 Begin by cutting the yarn a little longer than the long side of the paper. 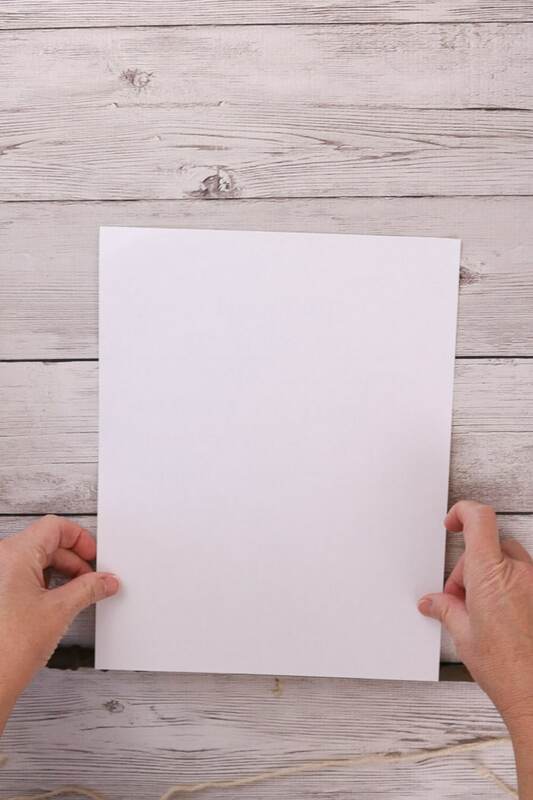 Turn the paper upside down but make sure the image is facing up towards the want. Make sure you have it centered also. 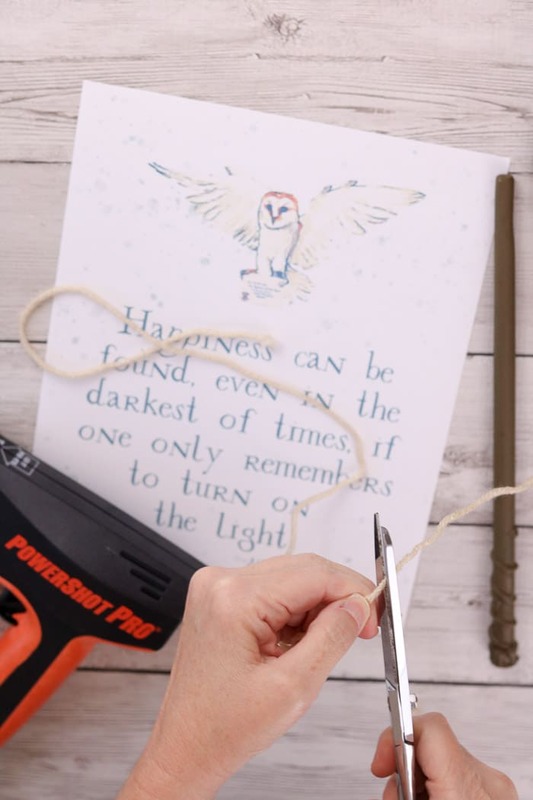 Next, place the yarn on one side and use the stapler to staple the thread and Harry Potter free printable into the wand. Next, repeat the step on the other side. 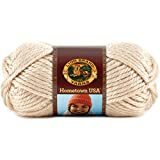 And tie the yarn if needed. My staples didn’t want to go all the way down into the wood, so I tied the yarn for safe keeping. And now you are done. It probably took me about an hour at the most to create this project. 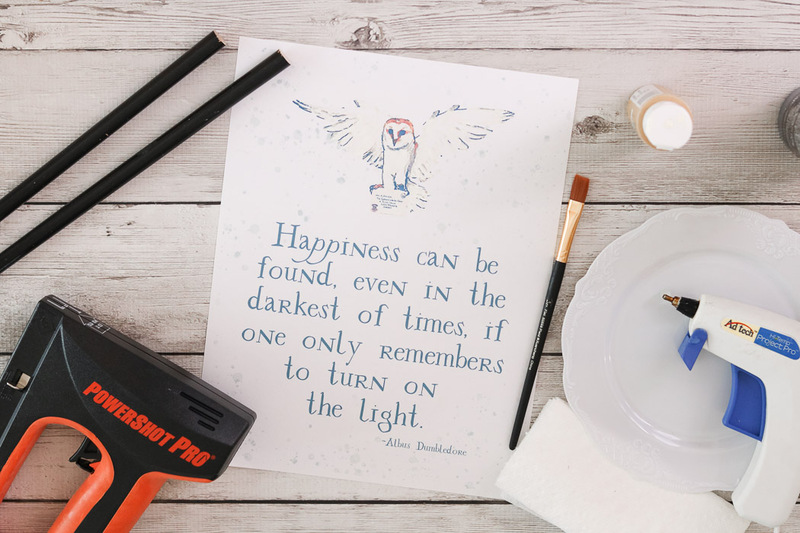 Remember me saying there are so many Harry Potter free printables on the internet right now? Well, I discovered there were not many that would work for art. So that was the inspiration behind this free download. 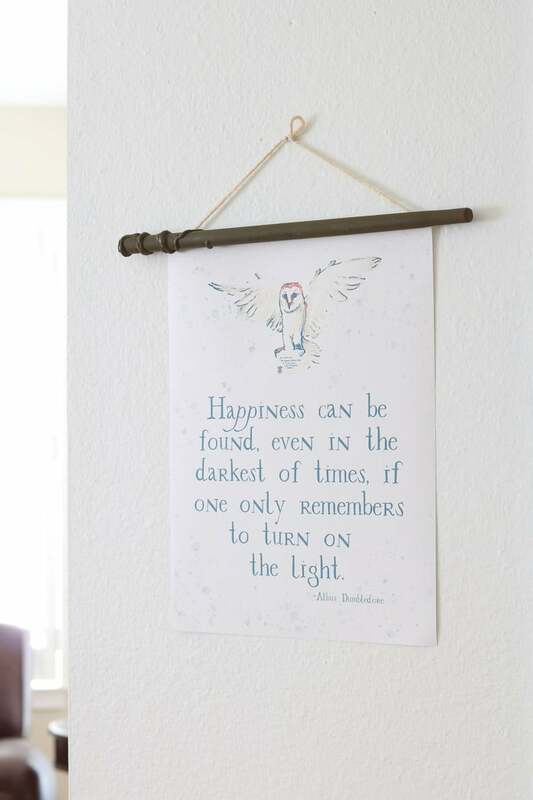 Whether you are inspired to do some Halloween decorations or you are a big fan of Harry Potter and want a wall hanging. Well, you have come to the right place. I hope you enjoy this magical addition to your home.